Devendro Singh, known as Indian boxing's pint-sized dynamite, is currently World No. 3 in the 46-49 kg category. With a total of 1100 points, Devendro is behind Birzan Zhakypov of Kazakhstan (1800) and Davis AyraPetyan of Russia (1550). 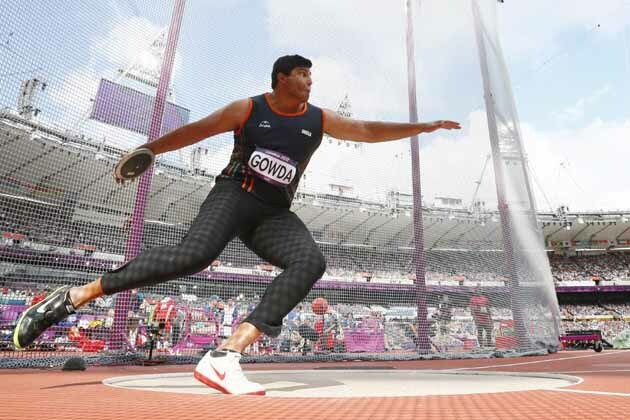 The Indian will next feature in the Glasgow Commonwealth Games which starts on 23rd July. Thapa, a former Youth Olympics silver medalist and 2013 World Championships quarterfinalist, is ranked 3rd in the bantamweight (56kg) category. With 1300 points, the Indian is behind Ramirez Carranza of Cuba with 2175 points and John Conlan of Ireland with 1500 points. 2010 Commonwealth Games (CWG) gold medalist and 2013 World Championships quarterfinalist Manoj Kumar is ranked No. 8 in Light welterweight (69kg) category, with a total of 900 points. Manoj will next participate in CWG 2014. Satish Kumar, a super heavyweight boxer (91+kg), is ranked 6th in the latest AIBA World rankings. Azerbaijan’s Magomedrasul Medzhidov is the World No. 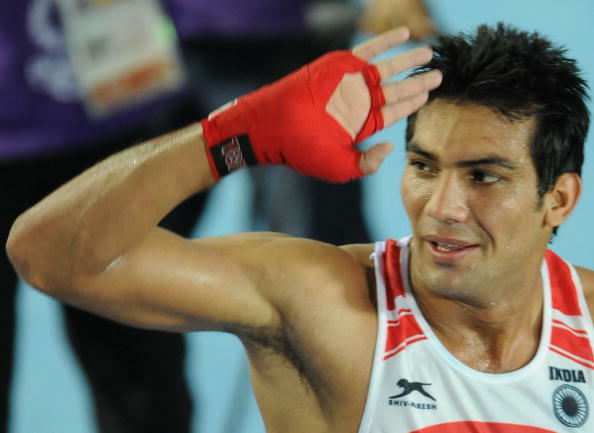 1 boxer with 2750 points followed by Ivan Dychko of Kazakhstan and Roberto Camaarelle of Italy. 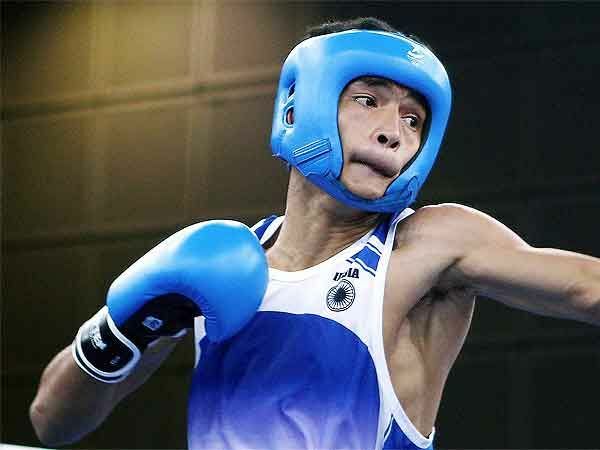 Pinki Jangra, a youngster from Haryana who recently defeated five-time world champion and 2012 Olympic bronze medallist M C Mary Kom in the selection trials for Glasgow CWG, is currently ranked 2nd in the 45-48 kg category. With 820 points, she is behind Josie Gabuco of Philippines who has 1305 points. Star Indian boxer M.C. Mary Kom with 2050 points is ranked 3rd in the 51 Kg category. 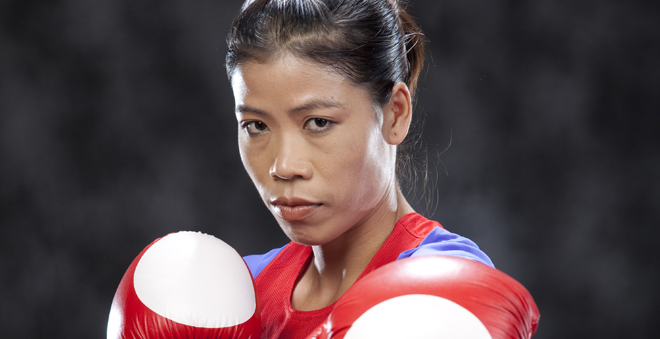 Mary Kom is behind Olympic silver medalist Ren Cancan of China with 2700 points and Olympic gold medalist Nicole Adams of England with 2100 points. 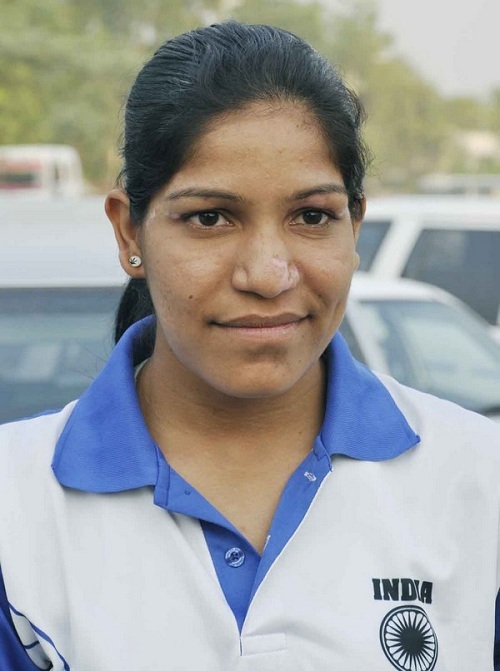 Former National Games gold medalist Meena Rani occupies the 5th position in women’s 64kg category. America’s Mikaela Mayer is at the No. 1 spot whereas Mongolia’s Uyanga Erdenesoyol is the No. 2 boxer in this category. 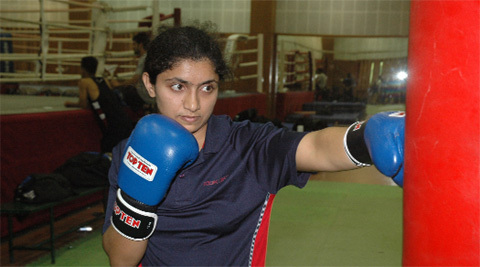 Kavita Chahal, who was the lone Indian boxer to win a medal at the World Women’s Boxing Championships in China in 2012, is currently World No. 3 in the 81+ kg category. 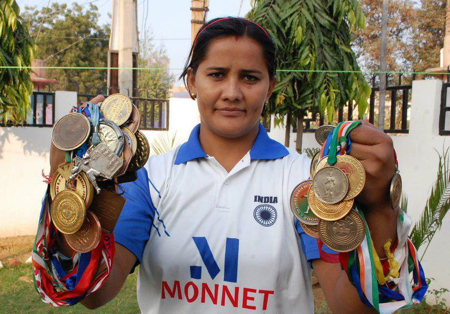 Chahal, who won the bronze in Asian Games in 2010, is also the current National Champion in her weight category. China’s Yunfei Li is the World No. 1 followed by Kazakhstan’s Lazzat Kungeibaiyeva. Star Indian shuttler and Olympic bronze medalist Saina Nehwal is currently ranked 8th in women’s singles category with 57,871 points. Chinese shuttler Li Xuerui with 93,864 points is at the top spot followed by another Chinese ace Wang Shixian with 86,986 points. 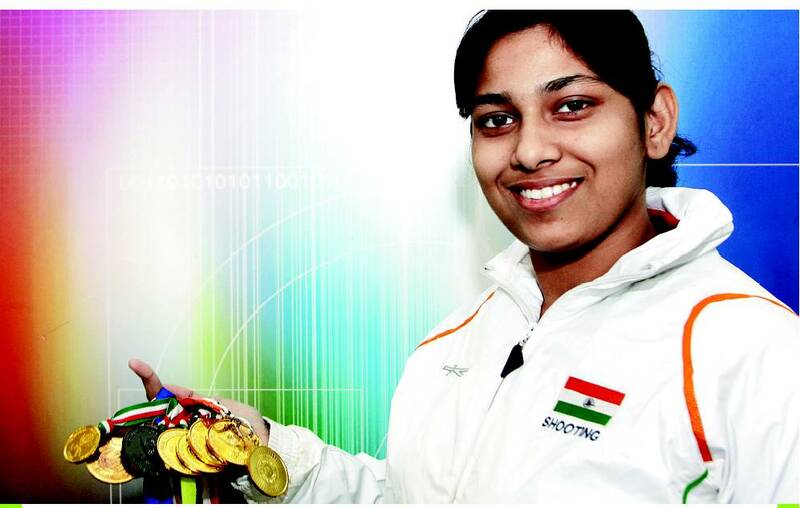 Indian teenage badminton sensation and 2013 World Championships bronze medalist P.V. Sindhu is World No. 10 in women’s singles category. Sindhu has a total of 52,574 points. 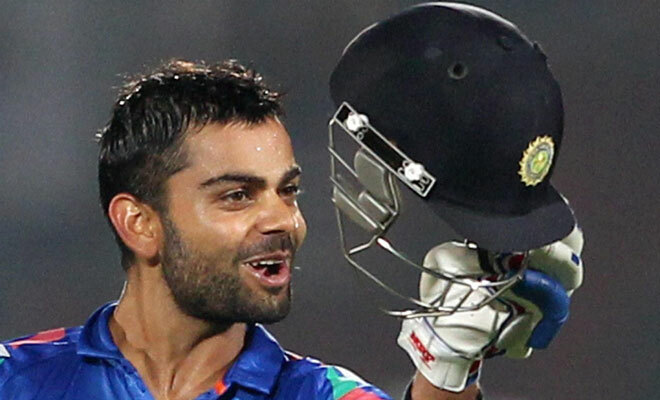 Virat Kohli is currently at the 2nd spot in the latest ICC ODI rankings with 868 rating points. Kohli, who has scored 475 runs at a whopping average of 67.85 and strike rate of 103.63 in 2014, was also the leading run scorer for India in 2010, 2011, 2012 and 2013. AB de Villiers of South Africa with 872 rating is at the top spot. Kohli is also at No. 2 position in the T20 rankings. Named as Player of the Tournament in the ICC World T20 in Bangladesh this year, Kohli ended as the highest run-getter of the World Cup with 319 runs at an average of 106.33 and a strike-rate of 129.14. Australian opener Aaron Finch holds the top spot in the T20 rankings. 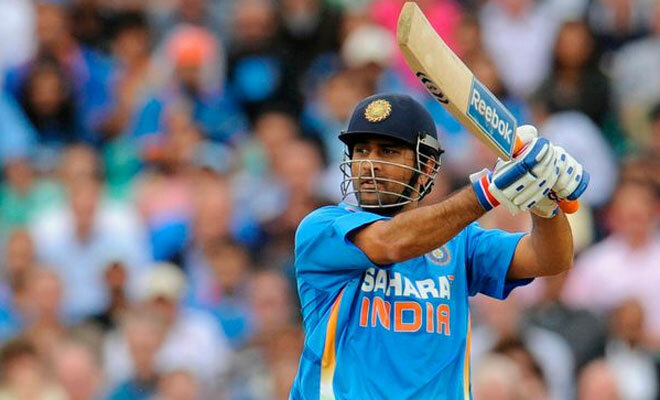 Indian skipper Mahendra Singh Dhoni is currently ranked 6th in the latest ICC ODI rankings. Dhoni, with an average of 53.28 and strike rate of 89.24, has made 8046 runs in 243 matches. In the calendar year 2014, he has scored 272 runs in 5 matches with an average of 68 and strike rate 92.20. Ravindra Jadeja, a slow left-arm orthodox bowler, is at the No. 7 position in the ICC ODI rankings for bowlers. Popularly called ‘Jaddu’ or ‘Sir Jadeja’, he has taken 11 wickets in 9 matches with an economy of 4.63 in 2014. Pakistani off-spinner Saeed Ajmal is ranked No. 1, followed by South Africa’s pace bowler Dale Steyn. 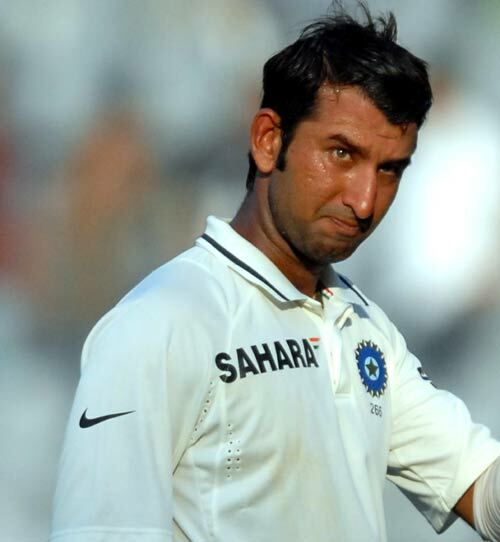 Cheteshwar Pujara, known for his sound technique and cool temperament, is ranked No. 7 in the latest ICC Test rankings for batsmen. Pujara, who was not in the best of form against New Zealand as he scored just 60 runs in two matches, will be the key player for the team in the 5-match Test series against England starting 9th July. AB de Villiers is at the top position followed by Srilanka’s Kumar Sangakkara. 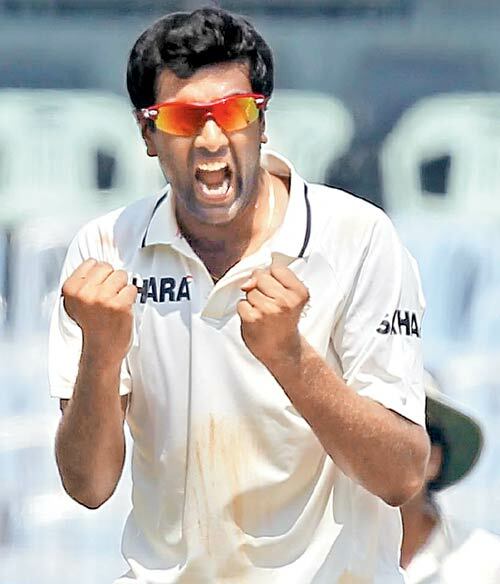 Right-arm off-break bowler Ravichandran Ashwin is at No. 7 in the ICC Test rankings for bowlers. Ashwin, who is well known for his top spinners and ‘carrom’ ball, has a total of 744 rating points. Dale Steyn is the World No. 1 bowler in Tests with a total of 898 rating points. Right hand bat and right arm leg break bowler, and the current captain of Indian women’s cricket team, Mithali Raj is the World No. 1 player in the latest ICC ODI women’s batting rankings. 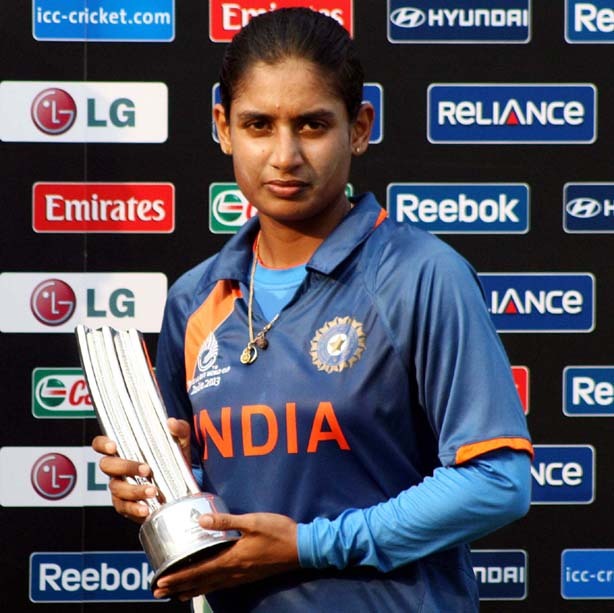 Mithali Raj, with 4791 runs in 148 ODI matches, has an outstanding average of 50.43. English player Sarah Taylor holds the No. 2 spot. This 25-year-old right handed bat is currently at the No. 6 spot in the ICC ODI rankings. 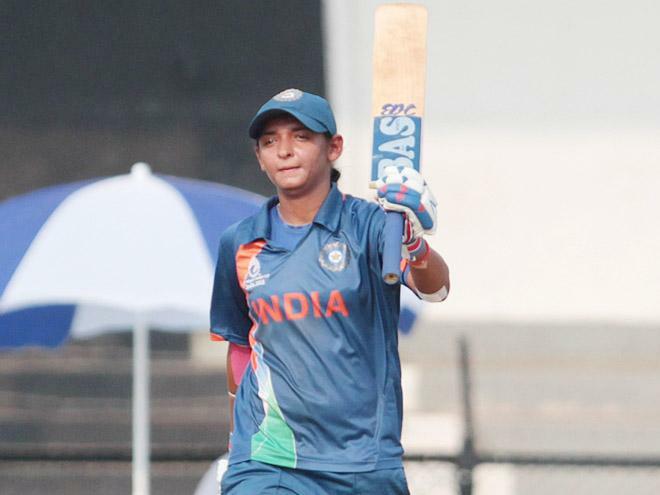 Harmanpreet, with a total rating of 644, has made 1071 runs with an average of 35.70 in 34 innings. 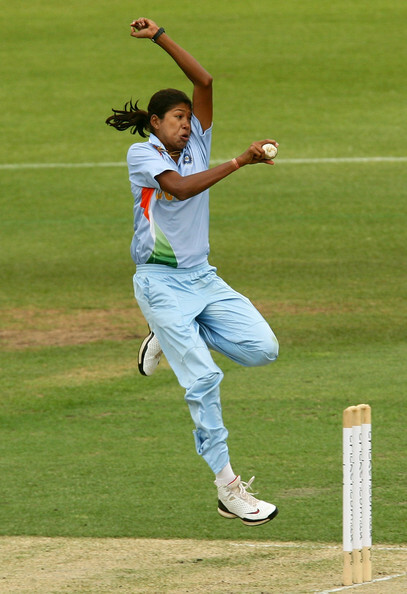 Jhulan Goswami, a 31-year-old fast bowler from Kolkata, West Bengal is currently ranked 3rd in the ICC ODI bowling rankings. Goswami, who has played 133 matches and has taken 157 wickets, is behind Stefanie Taylor of West Indies and Katherine Brunt of England. India’s most successful female tennis player Sania Mirza is at the No. 6 spot in the WTA doubles rankings. This is her highest ranking ever in doubles. 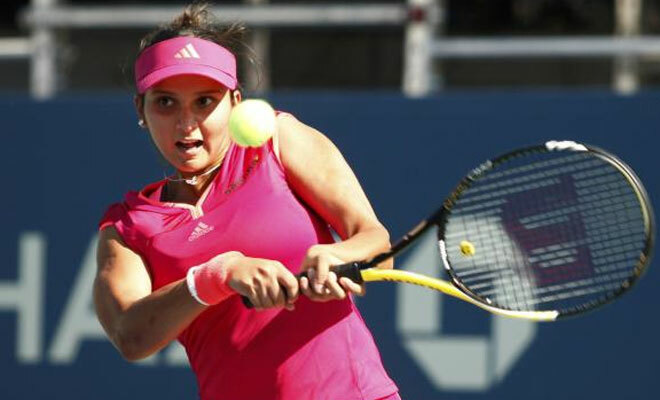 Sania, who lost in the quarterfinals of the French Open 2014, has 6035 points. Chinese Taipei’s Su-Wei Hseih & China’s Shuai Peng are the No. 1 doubles pair. Leander Paes, a six-time Olympian and a former World No. 1, is currently the No. 13 player in doubles. 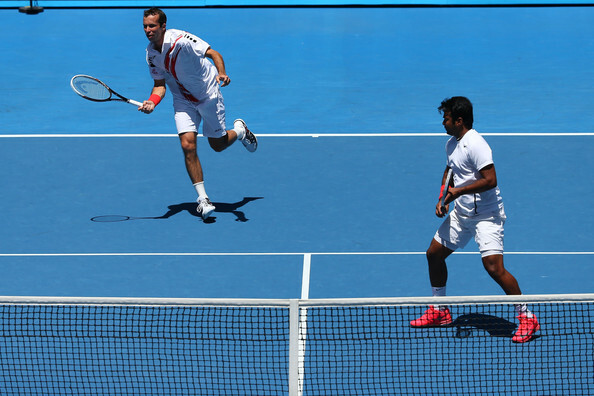 Paes, who didn’t play the French Open this year, has a win-loss record of 7-6 in 2014. The Bryan brothers are the No. 1 pair. 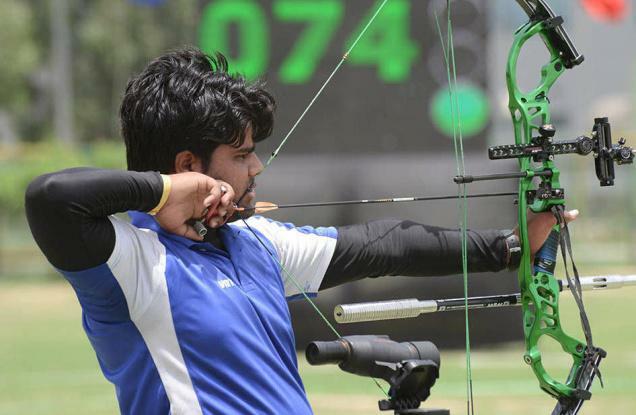 Indian compound archer Rajat Chauhan, who won both the FITA Purple and FITA Gold Target awards in 2013, is currently ranked 9th in the Compound section. French archer Pierre Julien is at the top position followed by America’s Reo Wilde and Braden Gellenthien. 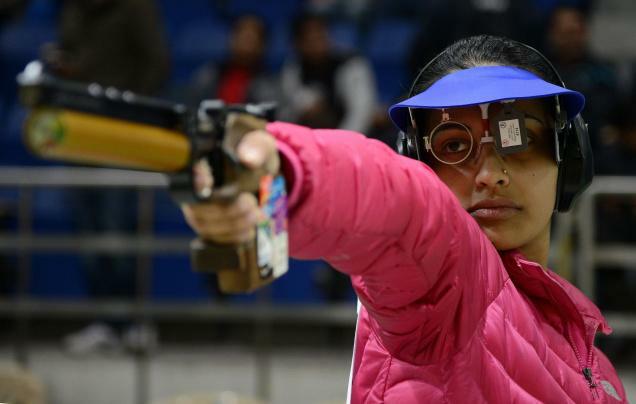 Heena Sidhu, 24, who won the gold medal at the ISSF World Cup Final in Munich last year and silver medal at ISSF World Cup in Fort Benning, USA this year, is at the No. 1 position in women's 10m Air Pistol event. Sidhu, with a total rating of 1264, is leading the former World Champion Zorana Arunovic of Serbia by 264 points. 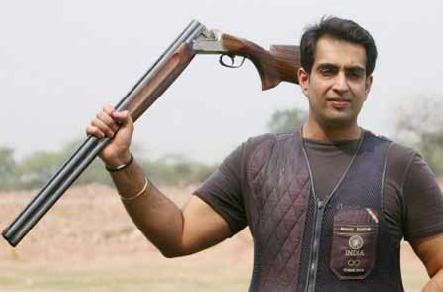 The 2006 World Champion Manavjit Singh Sandhu, who won the gold medal in ISSF Shotgun World Cup in Tucson in April while defeating the two-time Olympic champion Michael Diamond, is currently ranked No. 5 in men's trap event. Spain’s Alberto Fernandez is at the top spot followed by Russia’s Alexy Alipov. 22-year-old Ayonika Paul, who grabbed a bronze medal in the Maribor World Cup last month, is ranked No. 9 in the 10m Air Rifle category. Russia’s Ivana Makisomovic holds the top spot. Viswanathan Anand, five-time World champion and the first recipient of the Rajiv Gandhi Khel Ratna award, is currently the World No. 5 in the latest FIDE World Rankings. 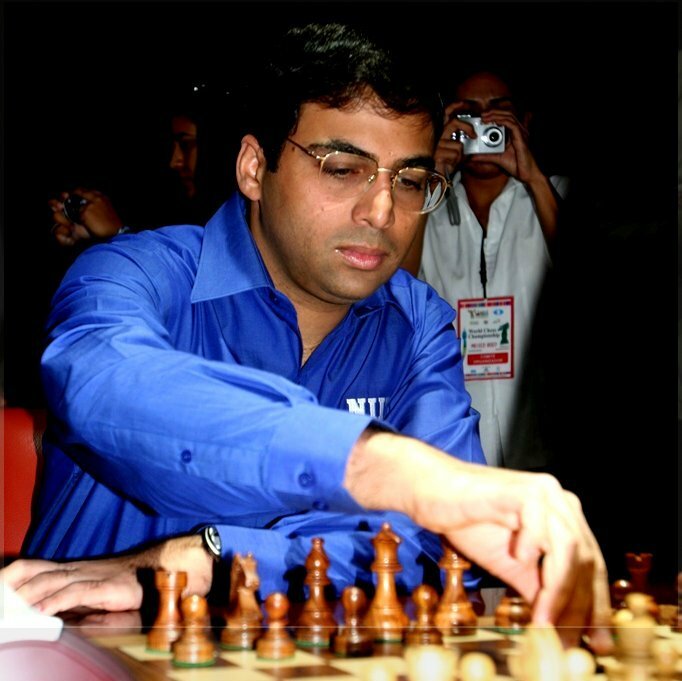 Anand, with a total rating of 2785, won the right to face World No. 1 Magnus Carlsen in the World Chess Championships 2014 after winning the Candidates Chess Tournament in March. 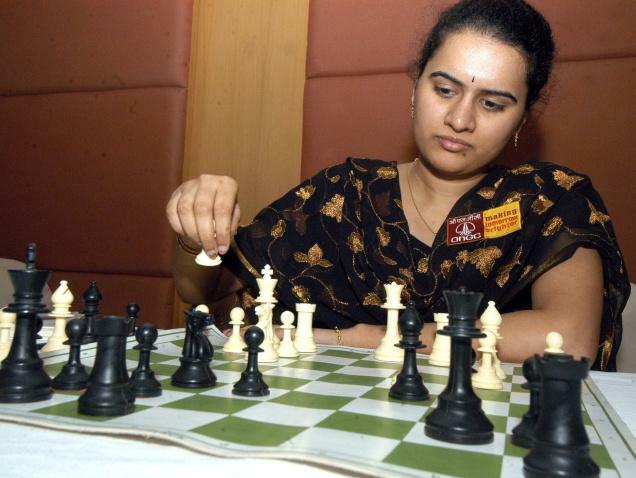 Koneru Humpy, a former World Junior Chess Champion, is World no. 3 in the latest FIDE World rankings for women. Humpy, with a total rating of 2613, is behind Judit Polgar of Hungary and Hou Yifan of China. Dipika Pallikal is the first Indian woman to make it to the top-10 of the WSA World Rankings. Having won the Arjuna Award in 2012, Dipika Pallikal also won the Padma Shri this year. Malaysia's Nicole David is the World No. 1 player in women's section. Olympic and World Championships finalist and two-time Asian Championships silver medalist Vikas Gowda is ranked World No. 7 in men’s discus throw. Vikas, who has a personal best of 66.28m and season best of 65.62m, will next participate in the Glasgow CWG. Olympic and World Champion Robert Harting of Germany is the World No. 1 discus thrower.